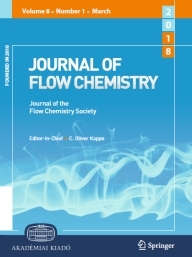 Aim of the Journal: The primary objective of the Journal of Flow Chemistry is to stimulate the development and advancement of flow chemistry for the benefit and progress of the chemistry community. The Journal provides a high-level scientific forum for rapid publication of the latest results of flow chemistry and serves the most important information on scientific events, Technology developments, products, etc. 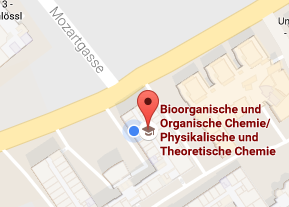 for the fast growing flow chemistry community. The main Focus of the Journal is flow chemistry in inorganic, organic, analytical and process chemistry in the academic research as well as in applied research and development in the pharmaceutical, agrochemical, fine-chemical, petro-chemical, fragrance industry. However, the Journal is not limited to the above but also include relevant flow chemistry aspects of material science, catalysis, green chemistry, nanotechnology, biotechnology latest development on flow instruments (engineering, automation), as well as theoretical and IT related topics.